The last known address is generally the address that appears on the taxpayer's most recently filed and properly processed tax return unless the IRS is given clear and concise notification of a different address. Treas. Reg. Section 301.6212-2(a). The IRS has published Rev. Proc. 2010-16 which lays out its view of how it determines whether it has received proper notifications. The best way to notify the IRS of your address change is to use IRS Form 8822, Change of Address. The IRS can also be notified of a change of address orally, either in person or by telephone, to an Internal Revenue Service employee. The problem with this method is that if the RIS employee fails in his duty to update the Internal Revenue Service's computer records, there is no way of proving that you notified the IRS. The IRS also has a procedure whereby it will update its database of last known addresses by means of using the NCOA database pursuant to Treas. Reg. Section 301.6212-2. The NCOA database is the National Change of Address database which is maintained by the United States Postal Service. It is important that the IRS have your correct last known address because if something is sent to you at that address and you don't receive it, you are still responsible for responding to it. An inquiry into a taxpayer's last known address is based on all of the relevant facts and circumstances. Generally, the courts will examine what the IRS knew or should have known regarding a taxpayer's last known address at the time the notice was issued. There are many cases decided by the courts, setting out additional rules for determining a taxpayer's last known address. 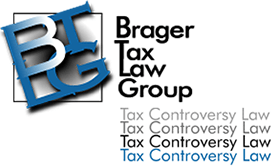 Generally speaking, the IRS is required to exercise "due diligence" in ascertaining a taxpayer's correct last known address. This is especially true where the IRS has been put on notice of an incorrect address because a letter or other document has been returned by the U.S. Postal Service. For example, it has been held that a power of attorney submitted to the IRS on Form 2848 listing a different address than the one on the most recently filed tax return given IS clear and concise notification of his new address. In the Tax Court's opinion in Hunter v. Commissioner, T.C. Memo. 2004-81 the Court pointed out that the "steady advance of technology" heightened the duties placed on the IRS to update its records for information readily available to it. Generally, if a notice is not sent to the last known address, it is not valid and the IRS may in some cases be prevented from collecting taxes which otherwise might legally be due. On the other hand, if you receive an IRS notice - even one that was not sent to your last known address - it is not safe to ignore the notice. An IRS notice, such as a Statutory Notice of Deficiency, will be considered valid if it was received by the taxpayer in sufficient time to meet the deadline for responding to the notice. If you believe that a notice was not sent to you at your last known address, you will have the burden of proving that fact to the IRS or a court. One of the steps that our tax lawyers take in appropriate cases is to determine whether a notice was sent to the last known address. In one matter, our client told us that he had not received any notice from the IRS before a levy on his bank account. We filed a Freedom of Information Act (FOIA) request and discovered that a proposed assessment of a Trust Fund Recover Penalty (TFRP) notice had been sent to an address which our client had not lived at for some time. Furthermore, we discovered that the Revenue Officer had notes in his file that the mail carrier had informed him that our client had moved from the address in question. Based upon this and other evidence, the IRS Settlement Officer assigned to our client's case agreed that because the notice of proposed assessment had not been sent to our client's last known address, the Trust Fund Recovery Penalty had to be abated.